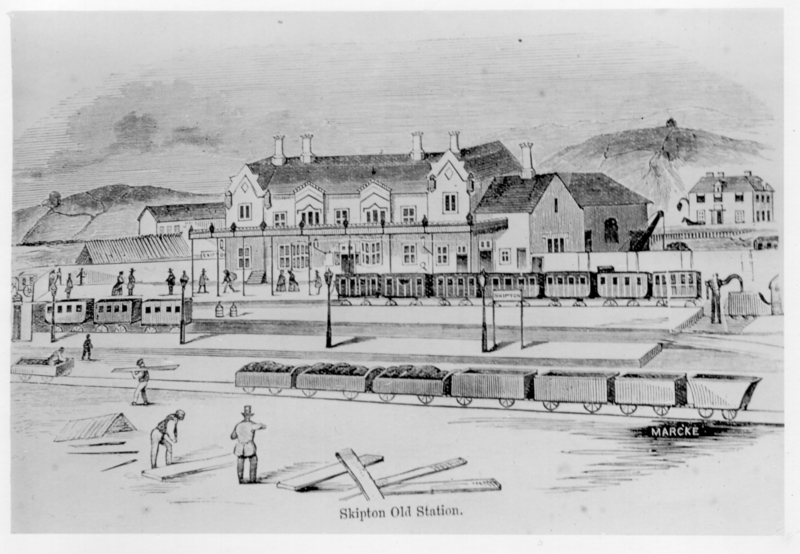 Sketch of the first Skipton Railway Station. From print. Click photo to view fullsize. The old station was approximately where Tesco's is now. The building a little further back on the right is the Craven pub. Your comment will not appear immediately, as all comments are moderated before approval. Your e-mail address will not appear on this site and will not be passed on to any third party.